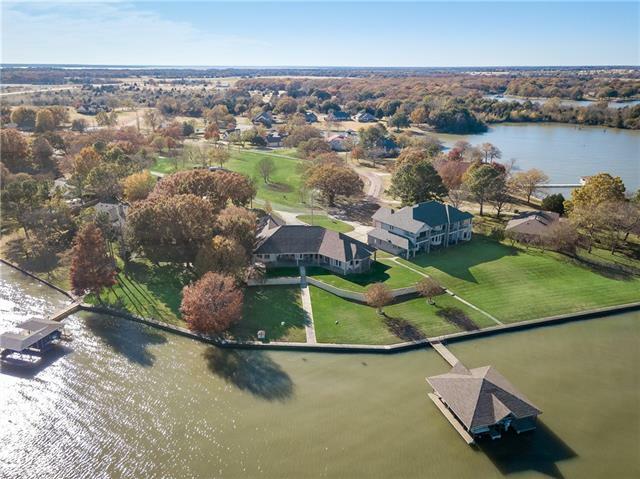 All Corsicana homes currently listed for sale in Corsicana as of 04/25/2019 are shown below. You can change the search criteria at any time by pressing the 'Change Search' button below. If you have any questions or you would like more information about any Corsicana homes for sale or other Corsicana real estate, please contact us and one of our knowledgeable Corsicana REALTORS® would be pleased to assist you. 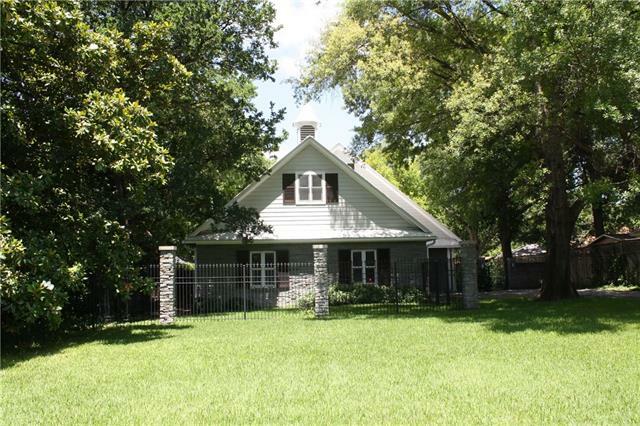 "Immaculately cared for 51 acres & home in Mildred ISD! Attention to every detail is seen when entering this property. 4 bedroom 4 bath home with gunite saltwater pool and outdoor living with wetbar! Inside you will find a gourmet kitchen with massive walkin pantry. Open concept and wet bar make entertaining a breeze. Large gameroom is excellent bonus space. Dreamy, oversized master suite has soaking tub, shower, dual master closets. Each bedroom has its own full bath. 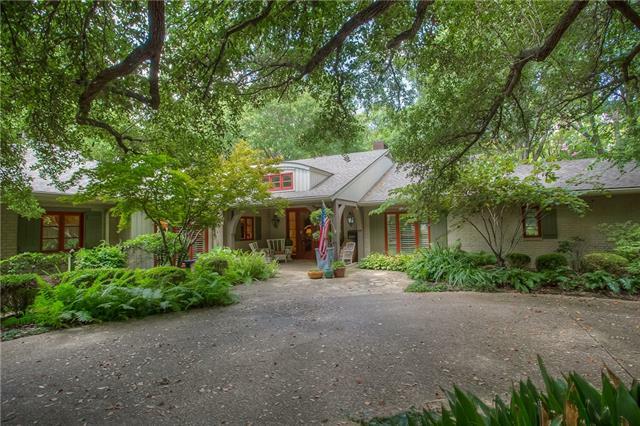 Office has large walk in c"
"Gorgeous home on 7.5 fenced acres designed by Michael Lyons. Offering 4 bedroom, 3.5 bath, 3 car garage with workspace an art storage room, cedar closet AV storage room and cozy den. The barn features concrete flooring and large sliding doors. KOI pond stocked with fish & filtration system along with waterfall playground and zip line. One of nearly every native oak tree in Texas is planted by design. Landscape design by Michael Parkey, Landscape Architect and Morgana Harwood, Master Gardner. 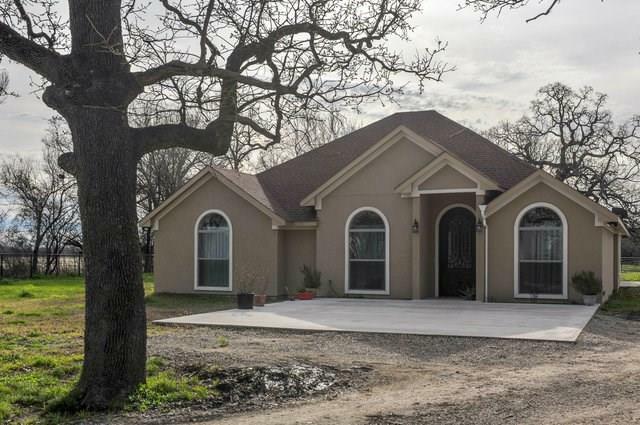 Li"
"Immaculate, custom built home on approximately 9 acres in Mildred ISD! Attention to every detail is seen when entering this property. 4 Bedroom 4 bath home with gunite saltwater pool and outdoor living area with wetbar. Inside you will find a gourmet kitchen with massive walkin pantry. Open concept living, kitchen and bar make entertaining a breeze. Large gameroom is excellent bonus space. Dreamy, oversized master suite has soaking tub, shower, dual master closets. Each bedroom has its own full "
"For Discriminating Home Seekers Desiring the Best! 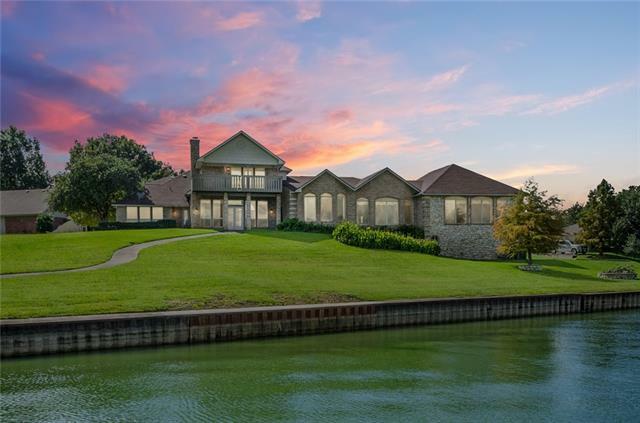 Luxury living in this incredible home with stunning lake views & 326' of waterfront. Huge formal living with fireplace & stunning lake views. Formal dining room w-an addl sitting area & full bath. 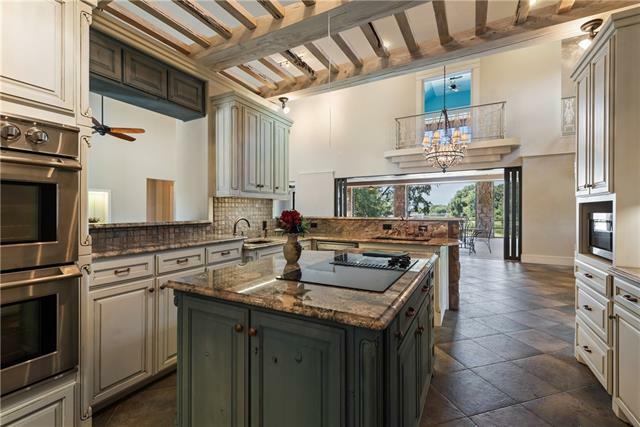 The gourmet kitchen is breathtaking with its oversized island & large walk-in pantry. Large breakfast nook with built-ins fits everyone. Master suite has fabulous lake views, 2 dressing areas, oversized shower, & huge walk-in closet. 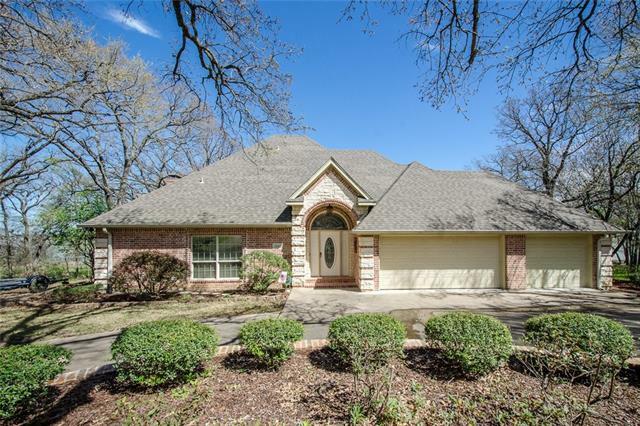 A 2nd master is on"
"Richland Chambers Lake breathtaking one-of-a-kind custom ranch style lake home in the prestigious gated Grandview Estates. 4000 sq. 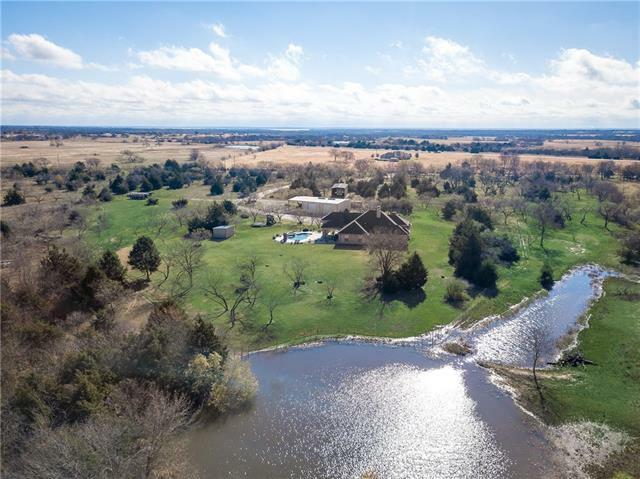 foot property sets on 3.158 acres with soaring ceilings and huge sliding doors opening the entire back of the property to lake views. Perfect for entertaining inside and outside! 3 car drive-through garage opens up on both sides. Handicap accessible with 36in doors. 300 feet of lakefront this fabulous place won't last." 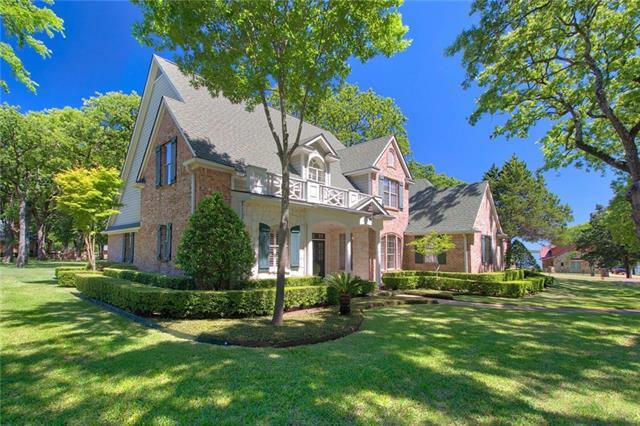 "Distinctive architecture plus a stately neighborhood can be yours! The floorplan boasts four spacious bedrooms with plenty of room for study, sleep & storage, 4.5 luxurious bathrooms, a sleek & stylish gourmet kitchen with 3 ovens, and huge wet bar area with a sink, dual dishwasher & ice maker. Home has 2 master bedrooms, both with walk in closets. first Master has sitting area & fireplace. Study, media room, 3 FP inside & guest house that comes complete w living, dining, bath, & utility closet." 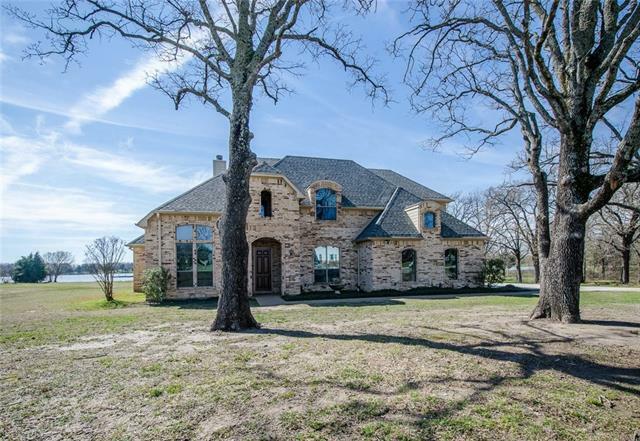 "Lakefront Luxury on Richland Chambers Lake! Custom-built three bedroom, split floor plan in Paradise Bay. This home sits on a prime lot with over 200' of water front and the best views of the lake. Open concept kitchen, living, breakfast area all with lakeview. Game room and formal dining make entertaining a breeze. Oversized master suite with extra large walk in closet. Out back you will find over 900 sq foot of covered porch, steel retaining wall, and two slip boathouse with double lifts. Boat"
"**PRICE IMPROVEMENT - MOTIVATED SELLER*** Magnificent 4 bedroom 3.5 bath home built in 2015, located in Drane Estates. Prepare to be amazed by the thoughtful layout and wonderful use of space. From the downstairs master bedroom, with the attached full bathroom to the open concept kitchen, designed for hosting the entire family and all of your friends. The grand entry to the home showcases the fantastic outdoor living area directly beyond 1 of the 2 living rooms. 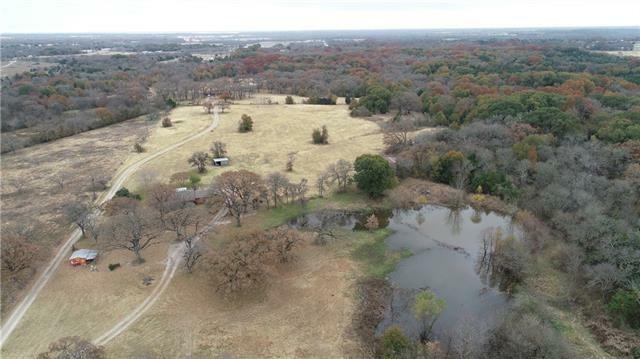 You'll fall in love with the"
"CHECK OUT THIS 51 ACRE RANCH WITH 2 HOUSES!! 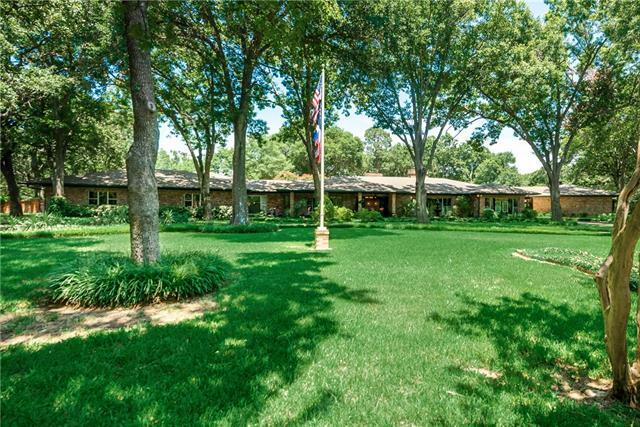 You will love all the oak and pecan trees scattered on this property. Very wooded in back with a deep creek and 2 stocked ponds. Lots of deer, ducks, squirrels, etc...a hunters dream place!! 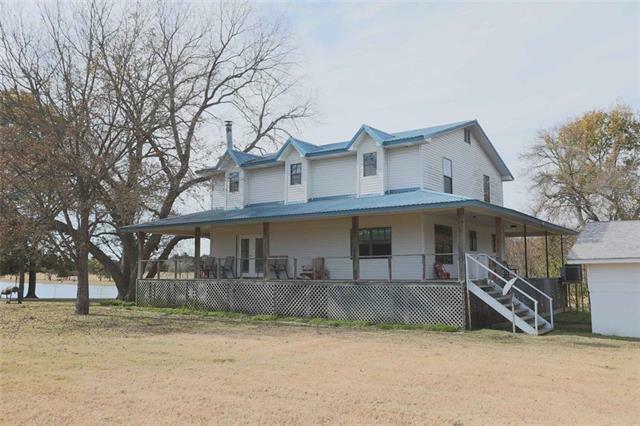 25 acres of coastal, several outbuildings, fenced, water well and co-op water. The first home has 3 bedrooms, 1 bath and a garage. The second house sits about half a mile from the road. It's a darling 1 bedroom, 1 bath house with a 1 car carport. 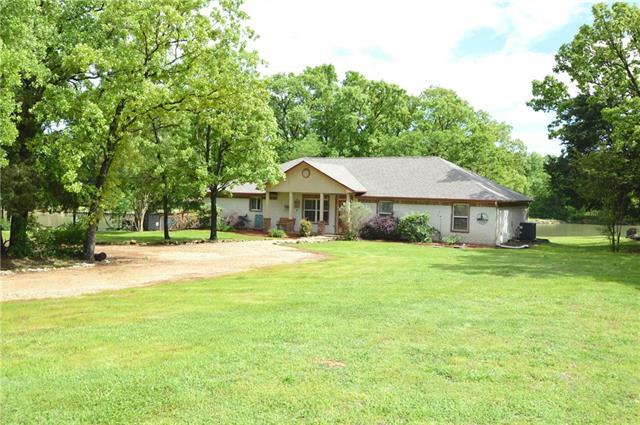 This property"
"Magnificent 4 bedroom, 5+ bathroom home, sitting on over 3 acres, on the shores of Richland Chambers. The extras steal the show! You can almost feel the stress being relieved as you drive down the tree-lined pathway to your waterfront oasis. The spectacular retreat has plenty of space to entertain guests in the main house, and the apartment above the garage is an added bonus. Prepare to be amazed by the outdoor living space with the durable deck surrounding the backyard, leading to the hot tub "
"Beautifully constructed custom home with attention to details. Kitchen boasts granite countertops, stainless steel appliances. Great colors through out which makes decorating a breeze. Exquisite iron entry door and decorative front gate to welcome your family and friends. Easy up keep with tile flooring. Wonderful fenced acreage and lush pasture for livestock and other animals. Two large stock ponds. Great covered patio to enjoy bird watching or just look at the grass grow. Wonderfully nestle"
"If you desire graceful living among beautiful surroundings, this home is for you! Relax and entertain in style in one of the 2 fire-lit family rooms or 2 dining rooms! 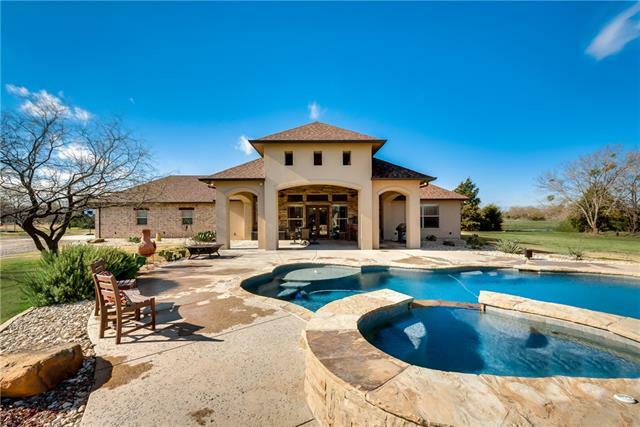 This majestic home has everything you could dream of in five bedrooms, 3.5 baths. 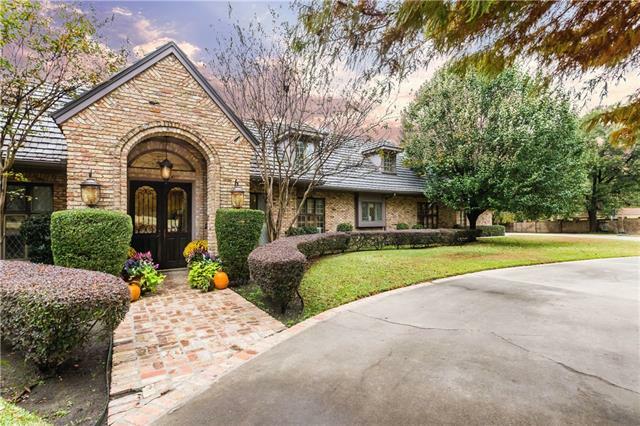 Leaded glass front windows, built-ins, walk-in closets, vaulted ceilings, granite countertops, custom tile work, wood floors, serving bar and wet bar...too, too much to list! Aluminum shake roof... Brick fence surrounds the beautiful app. 2.6 acres i"
"Properties like this one, doesn't come around too often. The incredible 68.7 acre ranch has so much to offer. Recreational! Hunting! Farming! Cattle! Equestrian! After entering through the gate, the homes are located far off the road down a long private drive way. 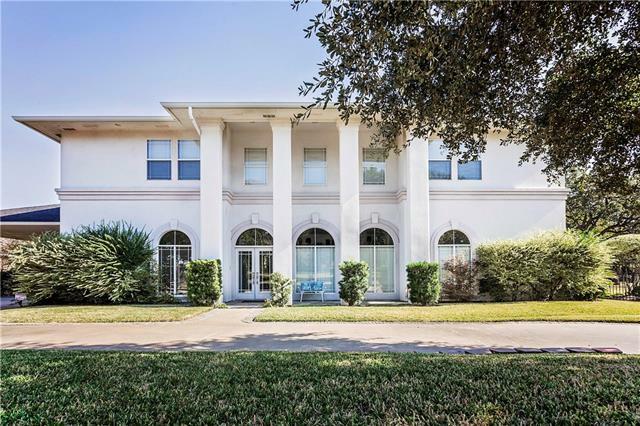 The custom built main home in 1985, is 2700+ sf with 3 bedroom 2 baths, 2 large living areas, open kitchen and dining room. 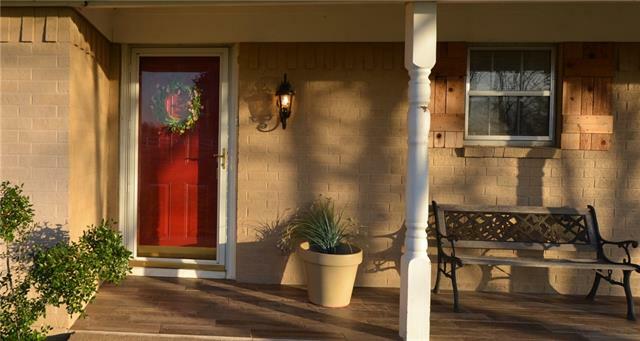 Enjoy the park like scenery on the wrap around porch, intaking the whole property. Watch for the wildlife"
"Stunning waterfront home with over 4,000 sq ft of living space. This beautiful home features a large living room with vaulted ceilings, dining area, traditional kitchen with solid surface countertops, oak cabinets & breakfast bar. 2 spacious secondary bdrms, 2 full baths & large master suite with garden tub, his-her sinks & lake views. Huge basement includes 2 extra living areas, kitchenette & full bath. Additional features includes an oversized walk-in pantry, utility room, extra storage room &"
"Spacious home on shaded established lot with circular drive, patios, deck and a nice view of pond! Grand entrance into large open living room featuring stone fireplace, vaulted ceilings and windows across back. Pretty formal dining area opens to kitchen with all of the built ins and tons of storage. Nice size bedrooms and baths, cedar lined closets, many extras. Several areas for outdoor entertaining as well." 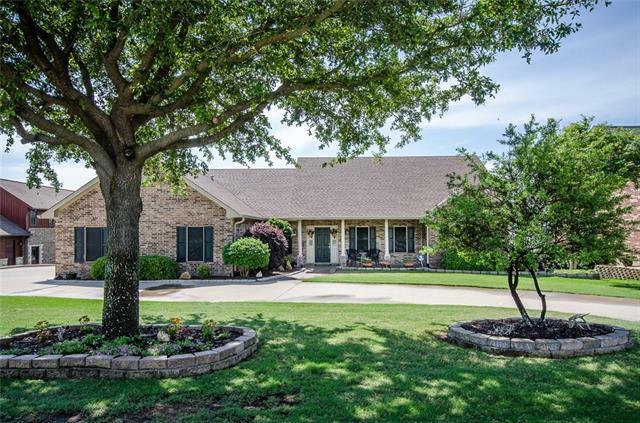 "41+ Acre - Crooked Creek Ranch - Pastures fenced and cross fenced. 2 stock tanks, lots of mature post oaks. 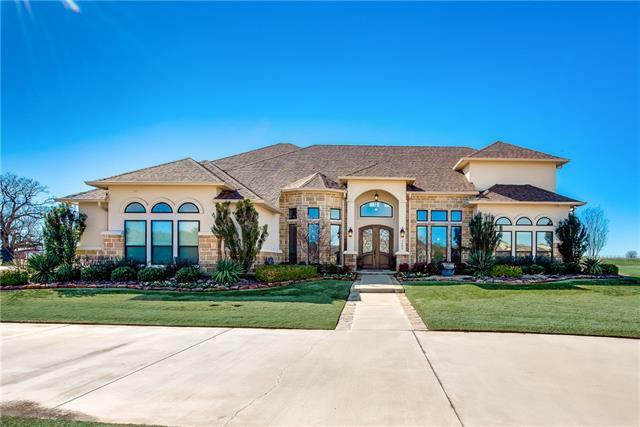 5 bedroom, 3 bath, 3 car garage custom home with vaulted and recessed ceilings. Granite counters, stainless appliances in Kitchen. Wood burning fireplaces in living room and master bedroom. 5th bedroom currently used as an office. Corral and catch pen for cattle. Loafing shed and paddock for horses. Detached 240 SF building currently used as tack room could be finished out as guest - MIL -"
"Stunning two story waterfront home with over 2,000 sq ft of living space and expansive lake views. 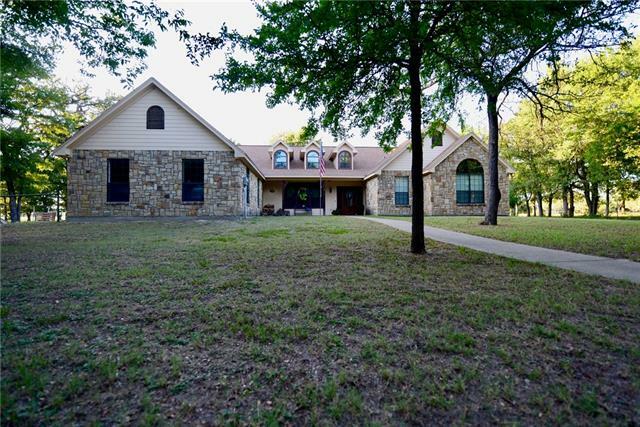 This lovely home features an open living concept with two living areas & stone wood burning fireplace; kitchen with breakfast bar, dining area & amazing lake views. Large master suite has walk in closet and sitting area; two large secondary bedrooms with walk in closets and two full baths. The loft area upstairs could easily function as a fourth bedroom. This home also includes utility room, over s"
"Motivated Seller! Stunning 2 story waterfront home with approx 154ft of shoreline. 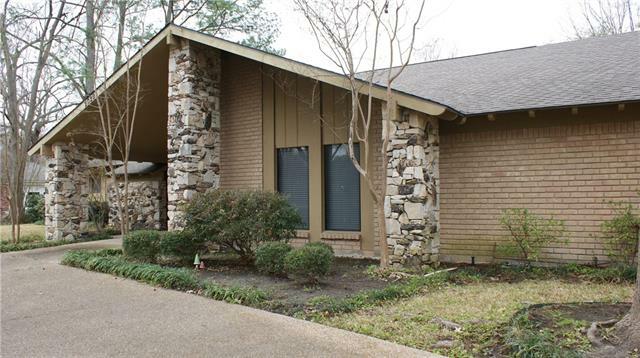 Features large living rm with stone WB fireplace & wall of windows overlooking lake. Oversized kitchen with ss apps, granite counter tops, island & brkfst area. Master suite features dual sinks, jetted tub & oversized walk-in closet with vanity area. Two secondary bdrms with jack & jill bath, office that can be used as 4th bdrm & second living area upstairs. Other features include formal dining, utility room & lar"
"Country Ranchette with so much to offer! Updated Brick Home features 3 Bedrooms, 1.5 bath, 2 car attached garage. 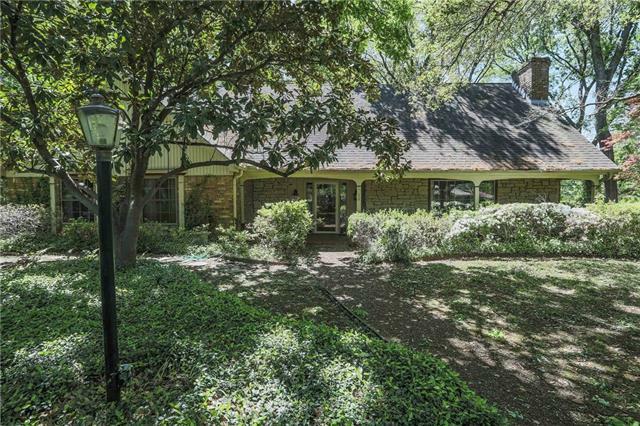 Huge living area with WBFP, Formal Dining-sitting room, Galley Kitchen with granite counters, tile back-splash, lots of cabinets, Breakfast nook with 2 walk in pantries. 3rd bedroom is huge add-on room with separate entrance from covered patio that can be office or game room, Master Bath features huge 2 person -walk in - tile shower. Both baths have granite counters, textured walls, "
"Exquisitely designed home located in prestigeous Mills Place Addition. An open floor plan encompasses the generously-sized living & dining area featuring vaulted ceilings for a real wow effect. The kitchen has granite counter tops & tons of storage & counter space. Relax in the luxurious master bedroom & bath or cozy up in the library featuring custom picture frame paneling. The attic space in home is plumbed & wired for second story use if needed. Enjoy the outdoors from inside the climate co"
"Hard to find 5 Bedrooms, 3baths, brick and stone family home on 1.1 acres; Park like setting bordered on two sides by creek and quiet Cul-de-sac; Gourmet kitchen with granite countertops; Jenn- Air Cook top, double ovens, and side by side built in Fridge; Triple stainless steel sink overlooking trees, flowers and creek, romantic, covered swing for two; Cozy fireplaces in the living room and eat-in kitchen area; 3 Bedrooms downstairs; 1 of the Bedrooms has its own bathroom, private entrance and "
"Two story contemporary creates visual excitement! Beautiful 4 bed 3.5 bath in exclusive Drane Estates. Lovely back yard oasis with pool and full bath in 3 car garage for easy access for those enjoying fun in the sun. Formal dining and living for extra entertaining space. Family room has 21 ft ceilings, fireplace and large windows overlooking pool area. Gourmet kitchen with 2 dishwashers, double ovens, gas range, island and loads of cabinet space. 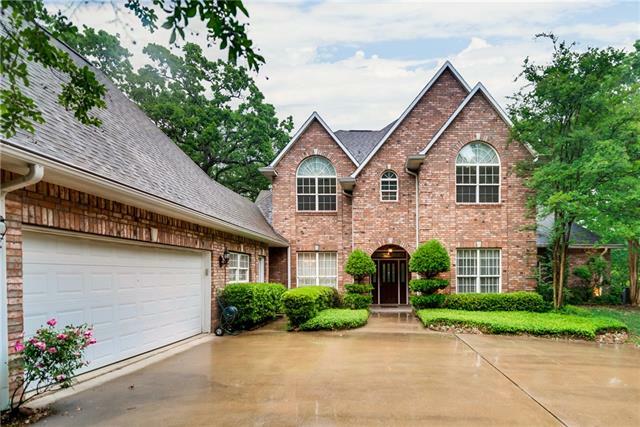 Large master w sitting area, 2 walk ins, Jacuz"
"Dreams are realized in this beautiful custom home lovingly maintained by original owners with views of Richland Chambers Lake! Distinct features run throughout including bright floor plan, split bedrooms, hardwood floors, crown molding, stainless steel appliances, commercial grade gas range, oversized master suite + private office or would be perfect for a nursery, built-ins in living w amazing stone fireplace & so much more! The HUGE guest bedroom upstairs offers numerous possibilities & is an "
"Life at the lake! Come catch some catfish off of your backyard boat dock at Richland Chambers! Beautifully designed lake house with tons of natural light and windows to look out over the beautiful lake! The spacious open living area directly looks over the covered deck out back with plenty of green grass under the towering trees. This subdivision has no HOA, has a community boat ramp two lots away, and is quietly located on a dead end road. Surrounded by beautiful homes and water this home will "